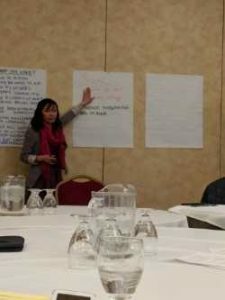 On March 7, GARE sponsored “Advancing Racial Equity: The Role of Government” in Appleton, Wisconsin. The event brought together 95 leaders from government, nonprofit and academia – creating opportunities for exchange collaboration across jurisdictions and sectors. 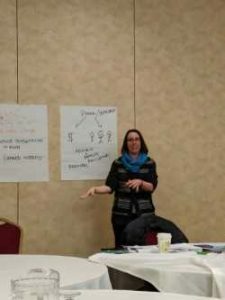 The fundamentals of normalizing were presented and discussed, and the inside-outside organizing was presented as a critical strategy to support racial equity. Participants from across the state were welcomed by Mayor Timothy Hanna who spoke about the importance of addressing disparities, particularly in economic development, to ensure that race does not determine success. Gordon Goodwin, GARE Midwest Regional Project Manager, and Jane Eastwood led conversations to deepen participants’ understanding of racial equity issues and share experiences. The training provided an overview of bias and structural racism, and generated strategies for local government to move beyond transactional service delivery and focus on changing policies, institutions, and structures. It was a timely moment to gather government and communities in Wisconsin, as unions and labor organizers face growing political opposition, and threats to local jurisdictions’ autonomy may soon limit their ability to pass ordinances aimed at creating welcoming and inclusive communities. Shining a light on the potential of these tools, GARE trainer and former St. Paul Public Library Director, Jane Eastwood, shared the St. Paul Public Library’s experience engaging the community to inform the renovation of the Rondo Community Library. Library staff used principles of inclusive engagement to ensure that strong relationships with the community were the driving force in the development and outcome of the project. While the day focused on the role of government, breakout discussions generated ideas about inside-outside organizing tactics for community and government. It was an important space for community-based organizations to strategize about avenues for working with local government to address disparities, and tackle institutional barriers to power sharing and engagement. With a full day of ideas to bring back to local partners and institutions, and for some, reflections on their first time diving into racial equity work, participants expressed an energy and willingness to explore collaborating more widely across the state and laying groundwork for a potential GARE learning cohort. 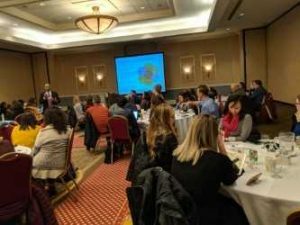 To learn more about GARE’s Midwest Regional Hub or to express interest a Wisconsin learning cohort, please contact Gordon Goodwin, Midwest Region Project Manager, at ggoodwin@thecsi.org. To learn more about GARE Membership, please contact Rachael Wyant, GARE Network Manager, rwyant@thecsi.org.